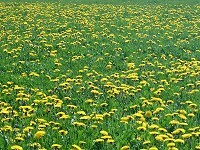 The dandelion is one of the most common weeds in English gardens and countryside. 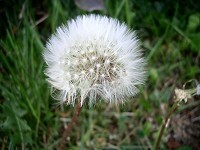 The flowers are followed by the familiar feathery seed heads or "clocks" which allow the seeds to disperse in the wind. The stalks are hollow and contain a milky juice. The leaves are edible and can be used in salads. The roots are sometimes roasted as a coffee substitute. 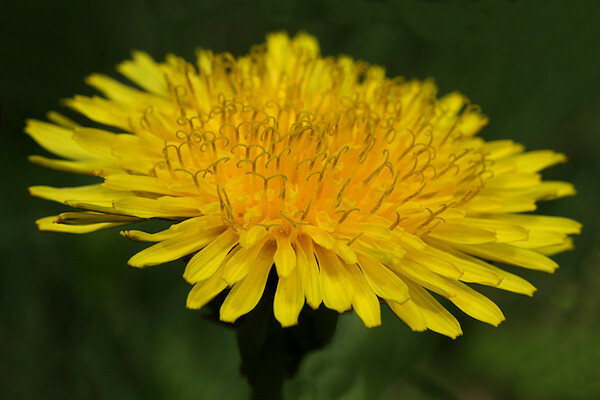 The dandelion is also used for a variety of medicinal purposes, for example, to treat skin and stomach disorders, rheumatism, etc. The photograph to the right was taken in a nearby field. 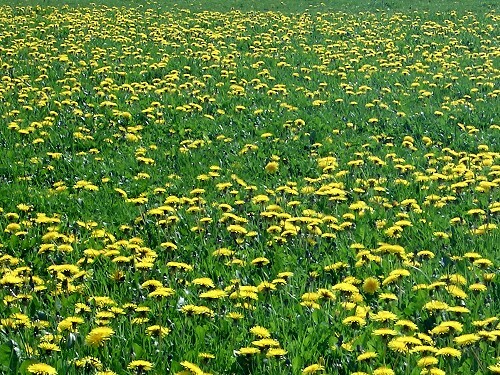 Our garden does not have such a big problem with dandelions! See our article "No-Fail Guide to Treating Weeds".